Bartle Bogle Hegarty Sport has been knocked out of the Investec creative pitch. The financial services company has asked FCB Inferno and Leagas Delaney to prepare for a further presentation next month. The incumbent is financial services specialist agency Gravity London, and AAR is assisting with the pitch process. Three agencies were briefed on pitches last Thursday for Freeview’s media account: Blue 449, Goodstuff Communications and Rocket. MEC is the incumbent. The pitch briefing comprised an hour-long presentation from Freeview marketing director Owen Jenkinson to the agencies in the same room, followed by individual break-out sessions with each shop. 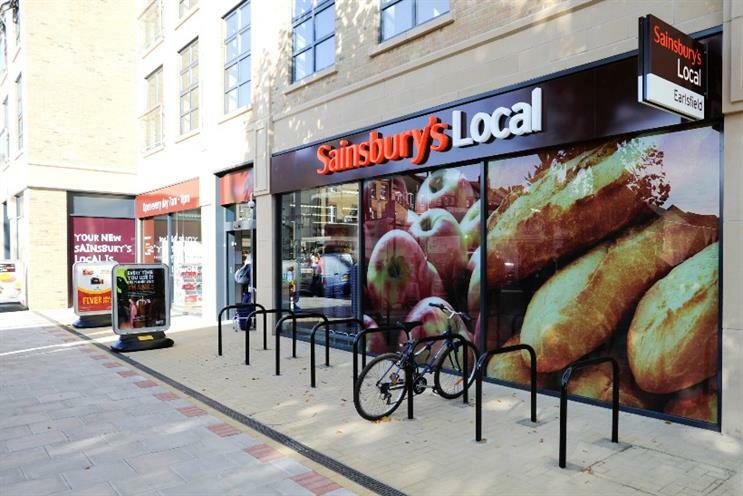 Sainsbury's has confirmed that PHD has won its consolidated £115m media planning and buying account, ending the long-running drama over the account review. The supermarket initially awarded the business – which includes Argos’ £52m account – to M/SIX in February but PHD challenged the way Sainsbury’s had run the process. Fitbit has appointed FCB Inferno to help launch a new product aimed at men aged over 30 in the UK and Ireland in the run up to Christmas. There was no incumbent on the new brief. Hobbycraft, the arts and crafts retailer, has appointed Hearst’s digital marketing agency iCrossing as its global digital agency following a competitive pitch. iCrossing is handling paid search, paid social, SEO and display advertising. The incumbent was Periscopix. Mondelez has hired experiential agency HeyHuman to handle biscuit brand Oreo’s "Discover your flavour" campaign. The campaign will promote the new Choc’o Brownie flavour voted for by the public, along with the existing Strawberry Cheesecake, Peanut Butter and Cool Mint cookies. The campaign, which launched on 8 August, is centred on an Oreo truck travelling across the UK for six weeks. Pearl Yachts has appointed the independent creative agency Daughter as its lead creative agency after a competitive pitch. Daughter will create Pearl’s brochures and advertising as well as supporting new model launches. Daughter’s digital partner agency Oh My! will handle Pearl’s website as part of the appointment. Velcro has appointed the Manchester-based agency One to create a national ad campaign to promote its Stayhold boot organisers. The products stick to car boot linings using Velcro technology, securing items such as shopping safely while the vehicle is in motion. The campaign includes national press, an online 30-second ad and point-of-sale activity in Tesco and Homebase. Yamaha Music Europe has appointed FCB Hamburg to its creative account after an international pitch. The remit includes a "holistic" advertising campaign for the brand's audio and video product range, which includes hi-fi systems, speakers, home theatre systems, headphones and apps. The activity be rolled out in Yamaha’s core markets of Germany and Benelux, with digital activity in the UK, France, Scandinavia and Italy. Nissan has reportedly moved the global advertising account for luxury car marque Infiniti from Crispin Porter & Bogusky to 72andSunny without a review. CP&B is expected to retain the US business. The Home Office has contacted agencies with an RFP for its advertising account. When the department first contacted agencies sources suggested it was just looking for an agency to work on knife crime but the RFP makes it clear the brief includes the Home Office's other advertising activity. The process is expected to go through the Crown Commercial Service.